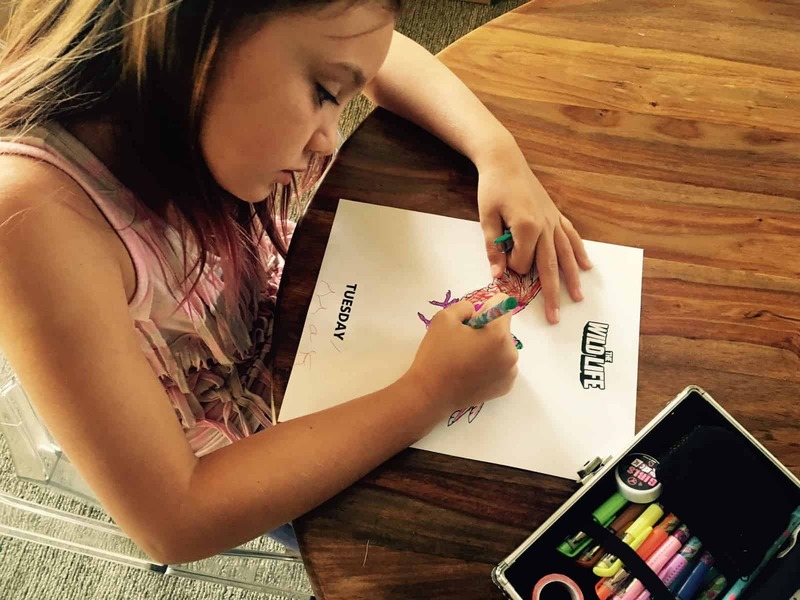 We love anything tropical, and of course we also love fun animated films, so we were excited when we were asked to create a project inspired by The Wild Life, which will be in theaters September 9th. The Wild Life stars a motley crew of crazy animals, including the over-exuberant parrot we are celebrating here, a snack-obsessed tapir named Rosie, a persnickety echidna called Epi and even an acrobatic pangolin. They all live on a tropical isle that is pure wild animal paradise until Robinson Crusoe, a marooned human, arrives in the midst of a furious storm, and their lives are forever changed by this bewildering new “creature.” You’ll have to watch the film to learn what happens! But there are some savage cats, a unique treehouse, and a lesson in the true power of friendship. 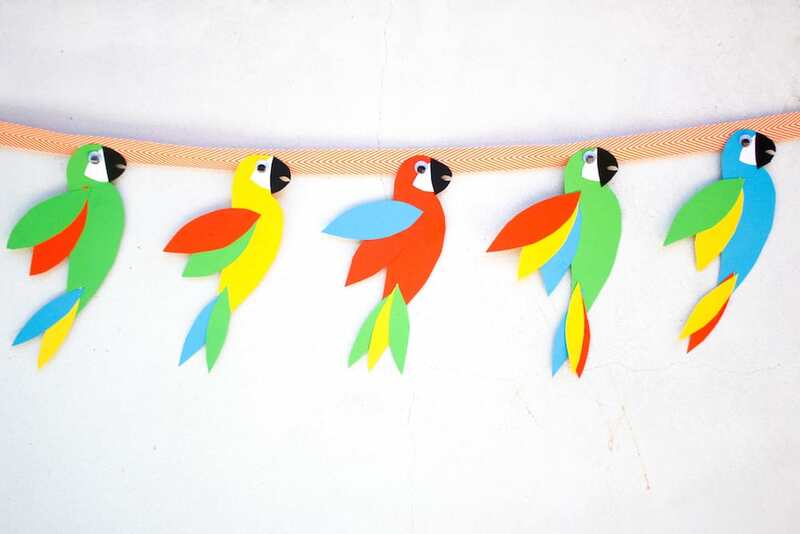 So let’s make a parrot garland and get ready for The Wild Life. 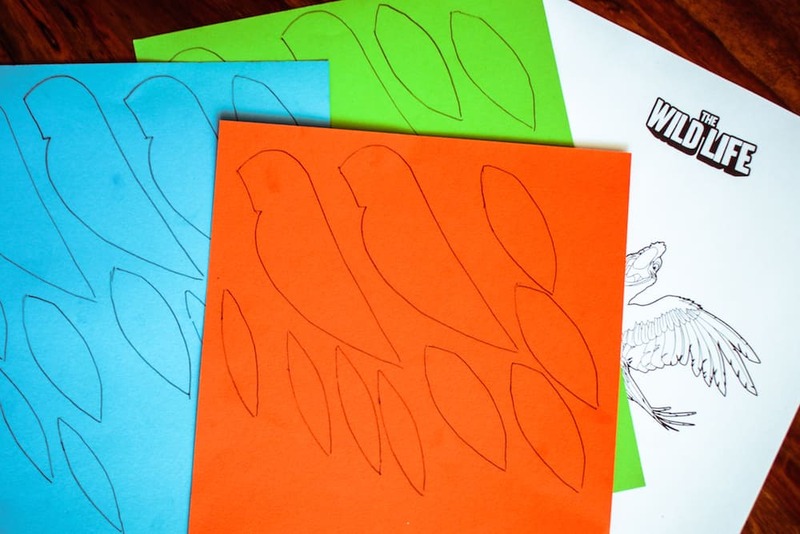 First you’ll want to cut out and trace our Wild Parrot template onto a variety of colored card stock. 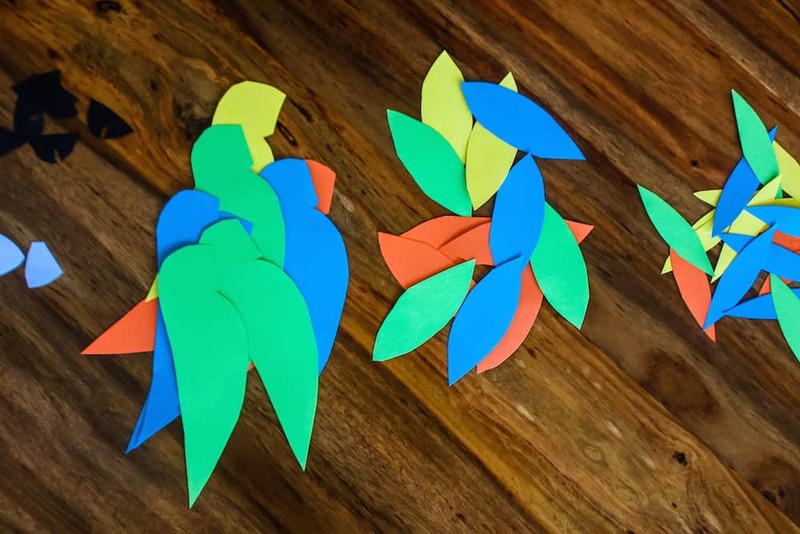 Go ahead and cut out your parrot bits and pile them up. I made all the “face” bits white and all the “beak” bits black, but you can feel free to mix it up however you please. 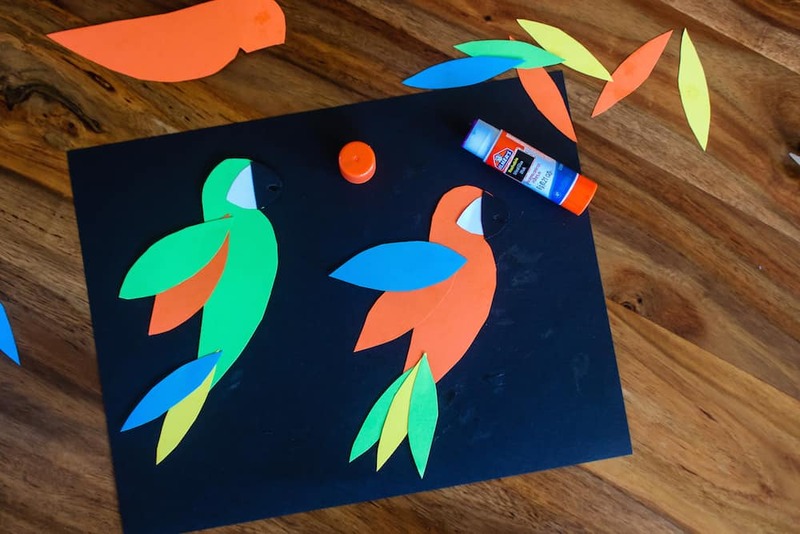 Now go to town gluing your parrots together with a glue stick. Mix up the colors and number of feathers. The kids will love this. 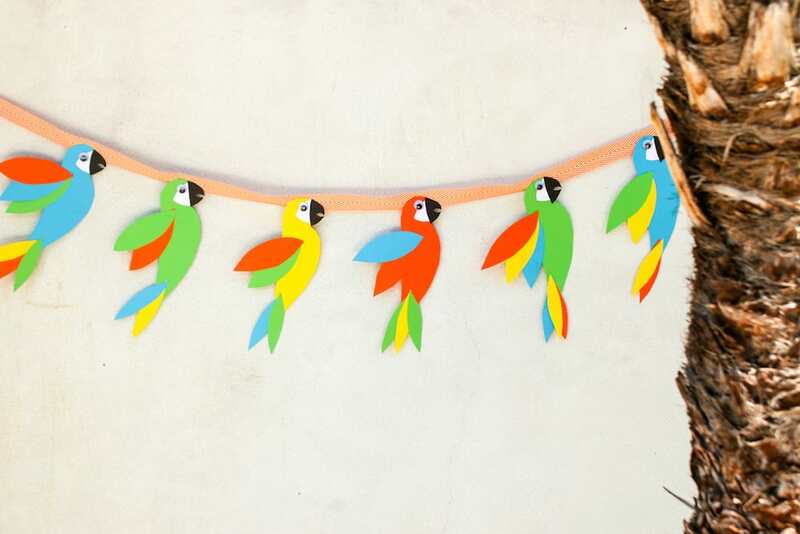 Add googly eyes and hot glue your parrots’ little heads to a length of ribbon. 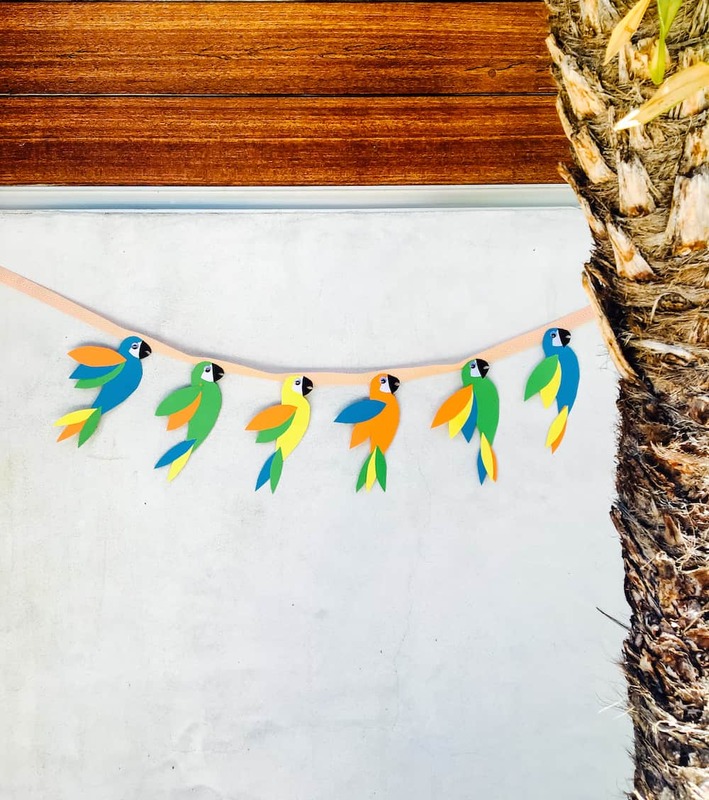 Hang by a palm tree and throw a tropical party. A perfect craft for the dog days of summer. This September 9, things are about to get wild. Be sure to watch the adorable trailer and don’t miss The Wild Life in theaters with your family. This post is sponsored by The Wild Life movie.